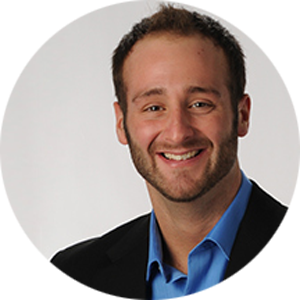 Jon Leonetti is an international Catholic speaker, author, and radio host who conveys a message of lasting fulfillment in Jesus Christ. Jon desires to cultivate an intimate relationship with Jesus and help others do the same through prayer, Sacraments, family life, Mary, and the saints. Engaging Catholics in all walks of life, Jon’s keynote presentations and Surge of the Heart Parish Mission continues to help many thousands of Catholics each year to discover the freedom Christ offers by way of His life and love. Jon’s first book Mission of the Family has been endorsed by the United States Conference of Catholic Bishops Vice President—Archbishop Joseph E. Kurtz—as well as Jeff Cavins, Immaculee Ilibagiza, Christopher West, Tom Peterson, and others. Jon believes our deepest longing for happiness and wholeness is fulfilled in a relationship with Jesus Christ, and thus must be nurtured by way of continual and daily conversion. With this message Jon has been featured and interviewed on many of the nation’s top Catholic websites, blogs, and radio shows, helping others to better fall in love and stay in love with the living God. In addition to his faith, Jon enjoys reading, sports, exercising, coffee, and, most of all, spending time with his wife, Teresa, and their son, Joseph. Jon is currently pursuing a master’s degree in moral theology.